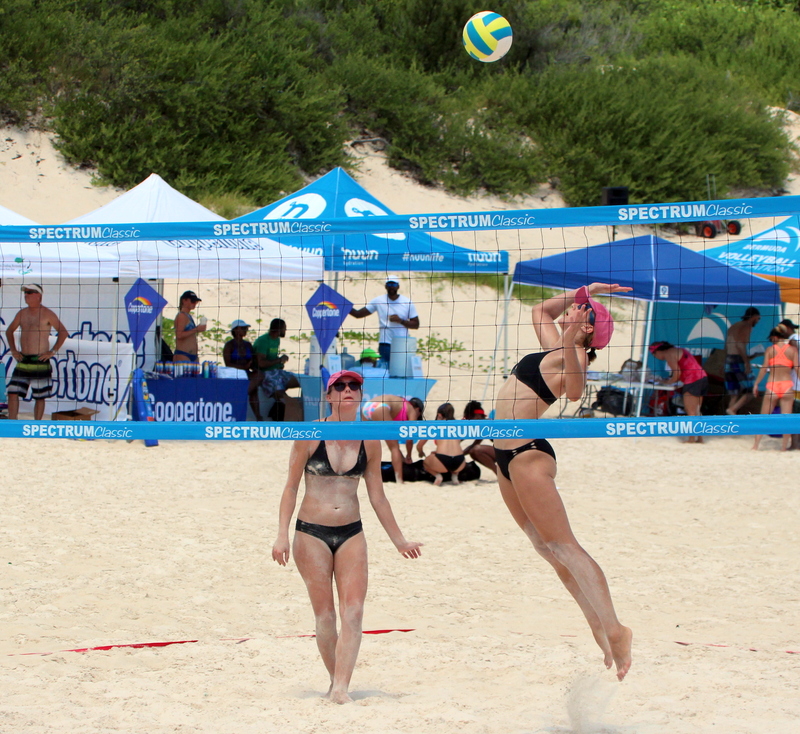 The Bermuda Volleyball Association (BVA) along with Bermuda General Agency (BGA) held the annual Coppertone Beach Volleyball Tournament, raising $3,000 for Bermuda Cancer and Health Centre in support of the SunSmart Programme. The SunSmart Programme aims to increase the awareness of youth about the importance of practicing SunSmart behaviors while outdoors. Their goal is to prevent the dangerous outcomes of sun exposure such as premature aging, skin leathering and skin cancer. They strive to reach this goal by educating the youth and the community through the program. Studies show that most of the skin's damage occurs before the age of eighteen; it is vital, therefore that children develop SunSmart habits early in life.